Wheee! 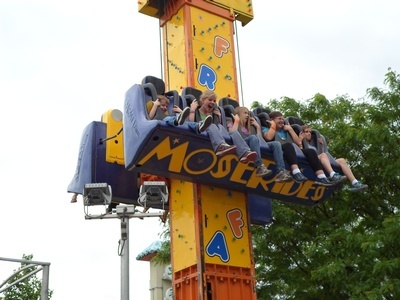 This friendly carnival will feature spectacular rides with LED light displays, family favorites like bumper cars and Ferris wheel, games of chance, engaging kiddie rides and concessions. It is located on Harris Avenue between La Grange Road and Ashland Avenue and will also offer a beer tent and food from local establishments. Carnival hours are 5PM to 10PM on Friday, noon to 10PM on Saturday, and noon to 9PM on Sunday. Ticket sales will stop 30 minutes before closing. Lively local entertainment is scheduled on the main stage throughout the weekend. Sunday from 4:3PM - 8:30PM for $30 per person, per evening. The La Grange Carnival is sponsored by Anthony Chiarito & Associates - American Family Insurance and is held with the cooperation of the Village of La Grange. Other local businesses will also have tents on site including Boyce Chiropractic, Flying High Sports & Rec Center and Mathnasium of La Grange, along with food vendors including Aracely's Bakery, Fireside Pizza, Palmer Place and We're Nuts. 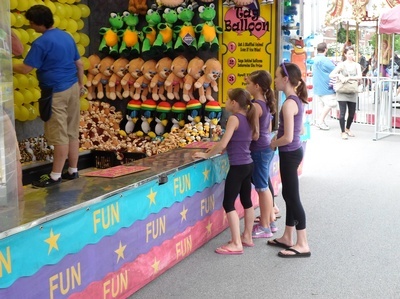 The La Grange Carnival helps fund the many free, family events organized by the La Grange Business Association such as the summer art project, the farmers market, the West End Arts Festival, the Halloween Walk and Hometown Holiday. A highlight of the weekend is the annual La Grange Pet Parade which steps off at 9:30AM on Saturday, June 1 from Cossitt Avenue and La Grange Road. The parade is organized by Pet Parade Charities. GET ALL THE DETAILS ON THE PET PARADE HERE. To celebrate the weekend, carnival-goers are invited to post their pictures on social media with #lovelagrange and tagging the La Grange Business Association. Located on Harris Street between La Grange Road and Ashland Avenue. Convenient free parking nearby. Just two blocks from the La Grange Road Metra station. Carnival hours are 5PM to 10PM on Friday, noon to 10PM on Saturday, and noon to 9PM on Sunday. Ticket sales will stop 30 minutes before closing.Value-priced unlimited ride specials are available at selected times throughout the weekend. Admission is free. 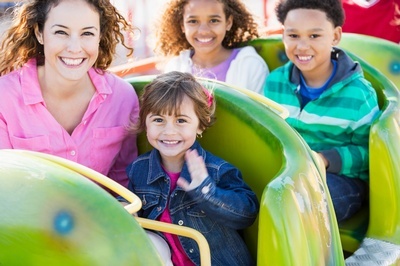 Price of rides and games vary.